Six scientific teams from Tomsk Polytechnic University received support from the foundation, one project was prolonged. 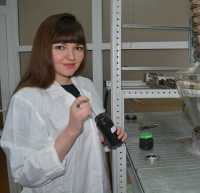 Physicists from Tomsk Polytechnic University developed a new method for environmental monitoring using mosses. The new approach can be used for the assessment of air quality in the cities. Researchers develop mathematical models for predicting wildfires based on the characteristics of forest species, the physics of fire spreading, and anthropogenic activity in a particular area. The expedition is based on the flagship of the Russian scientific fleet Academician M. Keldysh. 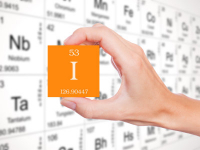 Scientists carry out a complex of biogeochemical, geophysical and geological studies. Postdoc Anna Kozelskaya supervises a research team developed implant materials for patients with polytrauma. This is the largest support ever allocated to scientists and teams from TPU, and the best result among Tomsk-based universities. TPU Program on Competitiveness Enhancement will support 20 promising research projects. The resolution and intensity of powerful nanoscopes could be enhanced by over 30% via non-spherical particle lenses.